Saturday, May 4, 2019, 9 a.m. - Saturday, May 11, 2019, 9 p.m. THIS EVENT IS OFFERED BY INVITATION ONLY. 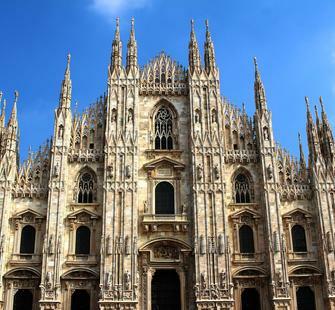 Enlightened patronage of the arts goes hand in hand with industry and commerce; this is never more true than in the case of Milan and Turin, Italy’s two great cities of the North. Here, the past century has witnessed the design, fashion, car and aerospace industries foster Italy’s most progressive and internationally recognized art movements -- from Futurism and Art Povera to the current wave of Italian artists making their names in the wider world. Our travel program explores Italy’s recent artistic comeback as it plays out in the museums, galleries, private collections and artists’ studios of the country’s two economic powerhouses. On a culinary level, our stay in the states of Lombardy and Piedmont offers the opportunity to discover the delightful variants of Italy’s regional dishes and wines, which remain reliant on local produce but increasingly absorb international trends of refinement and sophistication.